Lamberto Opticians is an optical dispensary with two licensed opticians and two independent on-premises Doctors of Optometry, conveniently located in the heart of central NY in the New Hartford Shopping Center. Our clients enjoy the benefits of our experience and excellent service---Lamberto Opticians will work with your prescription to best meet your particular vision needs. 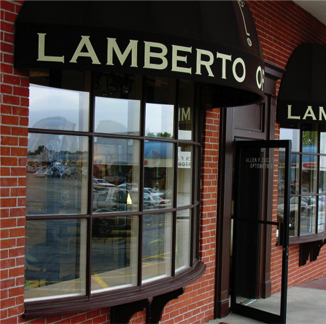 In addition, Lamberto Opticians has access to the latest in lens design, such as free-form technology, and unique and fashion-forward frames made with quality craftsmanship.